Elvis famously voted with his stomach. He would however have recognised the manic criss crossing of the US by the candidates chasing votes as he famously flew 1000 miles by private jet in search of a peanut butter and jelly sandwich. Not just any old version of course, but he truly ‘pimped his ride’ when he went in search of a whole loaf of bread filled with peanut butter, jelly and…..bacon. Elvis’s favourite sandwich was apparently peanut butter and banana but it was the peanut butter and jelly sandwich that came to symbolise his penchant for nostalgia, capacity for excess and willingness not to be constrained by ‘common sense’. One of his most famous escapades involved an impromptu visit carrying a loaded gun to a slightly bemused President Nixon who met him in the Oval Office. Other tales frequently involved his late night partying and drug taking but there was more to the man than a simple tale of poor boy done good destroyed by an inability to handle the circumstances. We once went on a road trip from New Orleans to South Carolina via Mississippi and Tennesse. 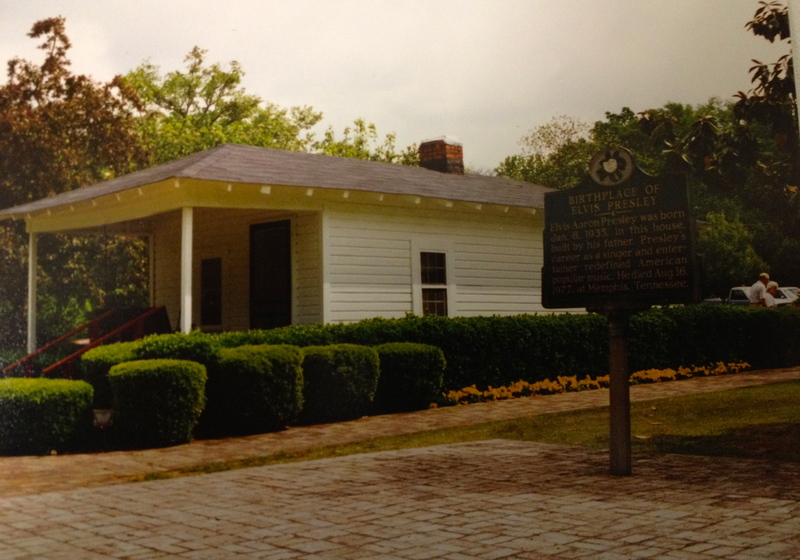 Elvis’ birthplace in Tupelo Mississippi has had a lick or two of paint as it’s now a national monument, but in essence it wouldn’t look out of place down at BandQ garden centre. From a two room shack with limited family food supplies to (an actually quite modest house in) Gracelands where his every whim was catered for would mess with anyone’s head surely. Unable to go out without being mobbed or recognised, taking a plane for a sandwich is probably not that different for someone like him than a late night dash to the local garage for a bar of chocolate for the rest of us. 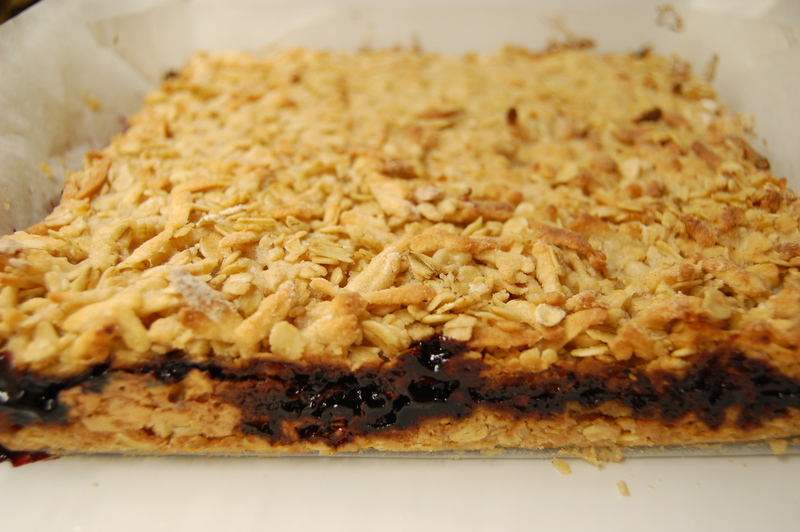 In that spirit I give you a recipe for a bar that embodies Elvis and feeds my own nostalgia: peanut butter and jelly bars. I missed the final of the GBBO as I was in Lisbon for work reasons. Returning from the Calouste Gulbenkian museum (overheard being described as “all the best bits of the British Museum without any of the boring stuff so you can do it in an hour”) I happened to come across a shop selling imported US products (as you do). I had totally forgotten about grape jelly until I saw it. As a child I loved the stuff. 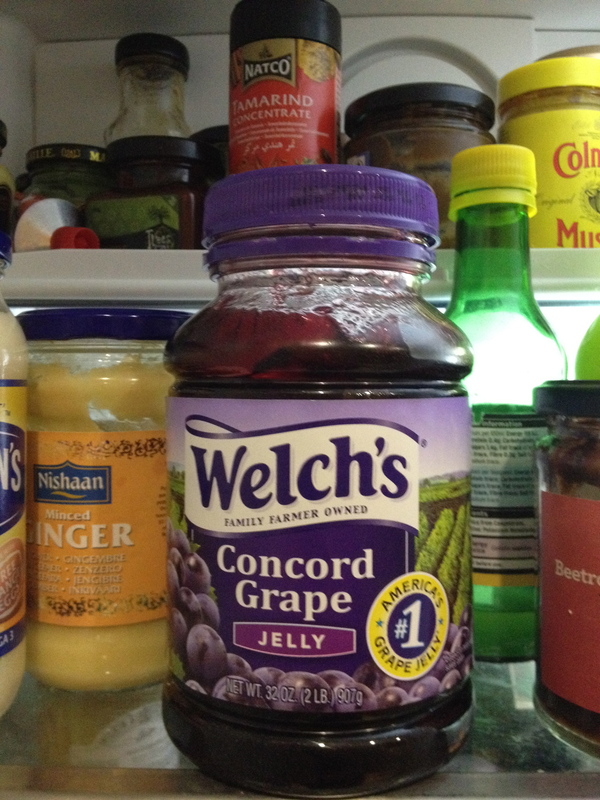 Its gelatinous structure and uniform colour give it a degree of artificiality that belies the fact that the best grape jelly is made from Concord grapes: it looks like it should have been manufactured entirely in a food plant from synthetic chemicals as the colour is so vivid and the texture so uniform. I loved grape jelly in my youth exactly for this ‘falseness’, turning my nose up at home made jams with their identifiable fruit. I knew immediately that I wanted to use it in a bar with peanut butter, having been unable to eat a whole version of a PBJ bar from Bea’s of Bloomsbury due to its richness and gargantuan size. 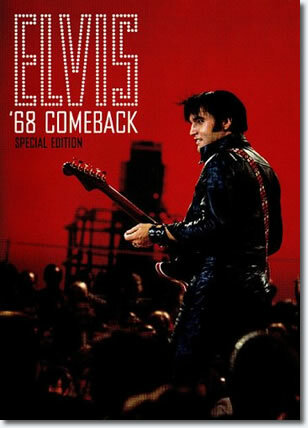 This bar is slimmer and simpler- the 68 Comeback Special version of Elvis rather than the Vegas caricature . They are a chicer, more European version of their US counterparts, and in this version I suggest you really do use grape jelly. The combination with peanut butter is perfect, although my version is less peanut loaded as I use crunchy peanut butter instead of the smooth version and added peanuts you’ll find in US versions such as Martha Stewart’s . However I’m also giving you a version where the peanut butter is downplayed to the last taste you have in your mouth forming a subtle counterpoint to the more fruity sweetness of the bigger bar, which also includes grated apple. Both have been road tested and given the thumbs up. In effect I’m offering you the two halves of a similar recipe each representing the two strands of my life: childhood simplicity and adult sensibility. They are both easy and quick to make. I hope you find one or both gets your approval although I find them better the day after baking. Preheat oven to 170 degrees C. Line the base and sides of a 20cm square tin with baking parchment. Spread half the mixture over the base of the tin, press down lightly and bake for 30 minutes until light brown. Then spread the jelly/jam over the peanut butter. Pour the rest of the crumble mixture over the base and cook in the oven for 30minutes until light golden brown. They may need 5 minutes longer if too pale at this point. Allow to cool and firm up slightly then cover the base with the peanut butter (it will melt and be easier to spread with the heat from the base). Then spread the jam over the peanut butter. Add the grated apple to the rest of the crumble mixture, tip over the base and cook in the oven for 30-40 minutes until golden brown. These take nearer 40 minutes. 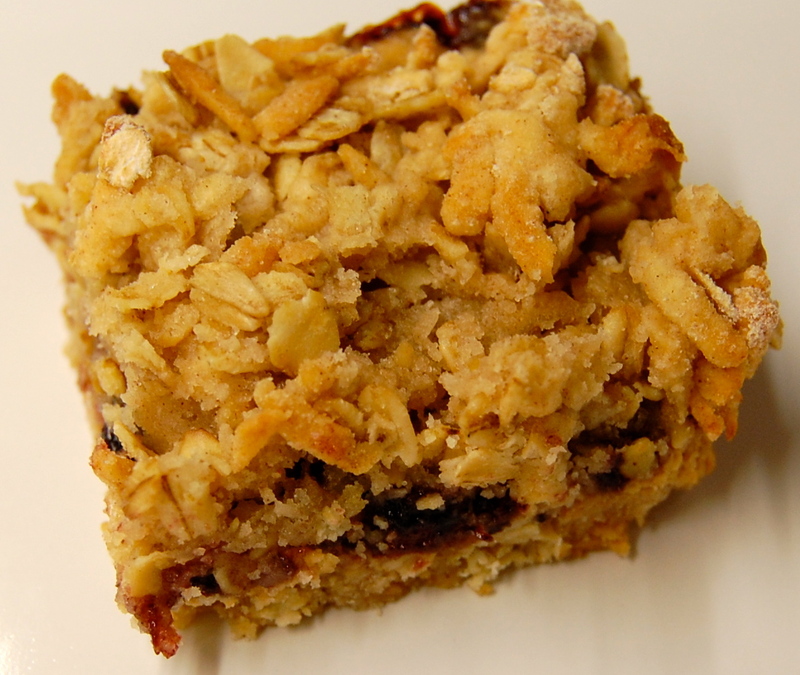 This entry was posted in Recipes and tagged apple, fruit, nuts. Bookmark the permalink. Finally something else I can do with homemade grape jelly, I usually just put it on porridge. I’ve got a few jars left, made in Sheffield from grapes grown in next door’s greenhouse, they’re so pippy that jelly seems the only option. Finally perfected the recipe after two years of grape syrup, admitted defeat and added pectin! Looking forward to baking with it…. Am seriously impressed at getting grape jelly in Sheffield- I have a grape vine that’s never produced fruit. Hope these do the trick for you. Thanks Chloe- nice blog and pictures. Loved the graveyard cake idea. Loving your blog Danny; you have so many interesting things to say! That looks so good. Do you have a low fat version with less butter? I must try these, I liked peanut butter and jam sandwiches as a child but wouldn’t be able to quite manage one these days these sound a tasty alternative. I love this blog and your receipes are beautifully, concisely and yet simply, described. I hope you don’t mind that I seem to be stealing many of them. As a PB & J addict and big fan of grape jelly, I can’t wait to make these properly, but for now, having run out of PB, I must rush to the corner shop so I can bake a version of these immediately. Thank you. You’re welcome to use as many as you like- that is the idea after all. And if you like them (or if you don’t) then feedback is even better. I hope you enjoy them- I was told off on wednesday for not bringing any into work with me! I can understand the telling off, but suspect mine wouldn’t travel well – they’re pretty fragile. I made them last night but was not concentrating 100% (trying to watch Masterchef at the same time). I did the apple version and forgot to mix it into the topping and just spread it over the jam. I found they took much longer to cook (probably just over 1 hour for the second bake) and I was convinced they wouldn’t set as it seemed so crumbly – I was already planning ‘PB and raspberry crumble and custard’. I think my tin was a little small so they were extra deep and also I don’t have a mixer so had to do the rubbing in by hand. So it was quite late when I finished them and I resisted trying to turn them out until this morning when I was delighted to find they had set! The ‘outside’ ones are a bit messy and some fell apart but the rest look good and the bits I have tasted now have me testing my willpower. I might allow myself 1 more at lunchtime. I will certainly try again – using a bigger tin and mixing in the apple. I may also drizzle chocolate over the top to stop them crumbling as much – purely a practical addition, honestly! Thanks for the feedback Denise. Chocolate sounds another good idea- I sometimes do that with macaroons when the shells have ended up with a patchy colour as the drizzled chocolate disguises it quite well! There is more topping in the apple version so in a smaller tin they will need proportionately longer but I think the recipe can cope with a bit of extra cooking. Hope you enjoy playing around with the recipe to make it your own.